A fast-acting dark spot serum with two percent hydroquinone to diminish the appearance of dark spots, age spots, freckles, and hyperpigmentation. 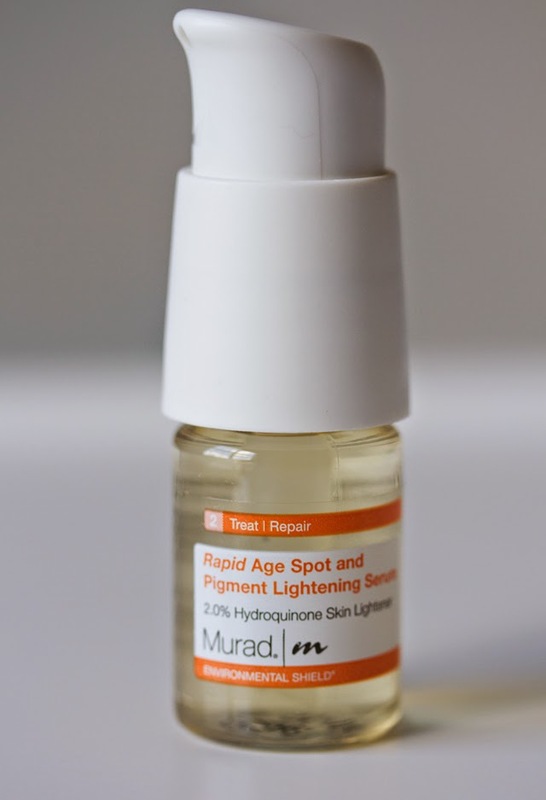 Hydroquinone, the pigment lightener lightens existing dark spots and age spots while addressing the causes of hyperpigmentation. Hexapeptide-2, an advanced skin-brightening peptide, gives skin a more even, radiant tone. Glycolic acid lifts away dull, dead skin cells and allows active ingredients to penetrate more quickly and deeply for faster, better results. Color: Pale yellow, but tends to turn dark amber color over a period of time. Scent: It actually smells weird. Not bad but definitely not a pleasant one. Application: I take a cotton bud and dab the product exactly on top of dark spots that need to be treated, just like spot treatment. I tried applying it all over my face as recommended by the brand, but it didn't work for me. Packaging: It comes in a glass bottle, with a pump dispenser. Verdict: I have mixed thoughts about this one. It did work in lightening the dark spots and scars, the one's that were new, left due to odd acne here and there, but I didn't notice much difference on the hyper pigmented patches as whole. Well, I didn't give the product fair chance on huge area, as it dried my skin out really badly. I probably should try it out again with more better and effective moisturizing system later. Maybe some oil. Hydroquinone is the active ingredient of this product and it is usually prescribed by dermatologists.